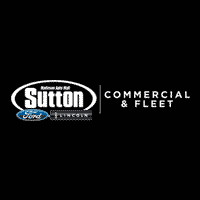 White 2019 Ford F-650SD XL Commercial ** BLUE TOOTH **, ** KEYLESS ENTRY **, ** 2 SETS OF KEYS **, OPEN CHASSIS. UPFIT OF YOUR CHOICE., CAB CHASSIS, White. $1,000 - Exp. 04/30/2019 $4,500 - Exp. 07/01/2019 $1,500 - Exp. 07/31/2019 Price includes $7,400 in dealer added accessories. White 2019 Ford F-650SD XL Commercial Diesel ** BLUE TOOTH **, DE RATED, GVW 25,999, 6.7L POWER STROKE DSL 270 HP, AIR RIDE, STEEL GRAY VINYL, DUMP, UPFIT, BACKUP ALARM, RWD, Rear Wheel Drive, Galion Steel Dump, galion 10' 5.3 yd w 860 hoist, 5.3 YARD DUMP BODY, DUMP BODY, Diesel, White. $1,000 - Exp. 04/30/2019 $2,500 - Exp. 07/01/2019 $4,500 - Exp. 07/01/2019 $1,500 - Exp. 07/31/2019 $1,000 - Exp. 07/31/2019 Price includes $14,653 in dealer added accessories.